This comprehensive and evidence-based course includes a concise pocket-sized reference that healthcare professionals can tailor to their practice. The Nutrition Assessment- Diagnosis-Intervention-Monitoring and Evaluation (ADIME) format for a synopsis of all major nutritionally relevant diseases is included in each chapter. A simple nutrition diagnosis statement in the Problem-Etiology-Signs and Symptoms (PES) format is also included. The guide is compact and the disease sections are color coded for easy content searching. Each chapter includes the latest research including blank pages for additional notes. Part 1 of the guide addresses nutrition assessment, life stage assessment and nutrition support and chapters in part 2 discuss the major nutritionally relevant diseases. The appendices are useful references on food and drug interactions, laboratory assessments and herb and dietary supplements. Course includes hard copy book and 1 certificate. Already have the book? Under “Product Options” simply choose “Additional Certificate” to purchase the CPE Self-Study Program. "This pocket guide covers such an expanse of medical conditions that it can be used by any RDN in numerous settings. 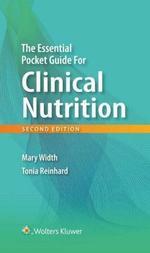 It provides a very inclusive quick guide to medical and nutrition information and calculations. The ADIME examples can assist the practitioner in organizing their plan of care." Apply the Nutrition Care Process (NCP). Identify nutrition considerations of specific diseases. Integrate medical nutrition therapy (MNT) into nutrition management throughout the life cycle including pregnancy and pediatrics. Define the physiologic changes in aging as well as the nutrition implications. Identify methods for calculating enteral and/or parenteral formulas. Implement effective MNT and healthy eating interventions for individuals following bariatric surgery. Describe appropriate nutrition interventions for individuals with cancer to cope with their symptoms and treatment side effects. Delineate MNT strategies for the management of cardiovascular disease, from managing hypertension to disease complications. Implement the American Diabetes Association recommendations for MNT for individuals with diabetes. Employ the NCP using the assessment, diagnosis, intervention, monitoring and evaluation process (ADIME) for individuals with gastrointestinal disease. Determine appropriate dietary interventions for individuals with hepatobiliary disease. Integrate the National Kidney Foundation Guidelines into practice for stages 1-4 chronic kidney disease. Demonstrate knowledge of the importance of nutrition assessment and education for treating individuals with pulmonary disease. 8.1.1 Interprets and applies evidence-based comparative standards for determining nutritional needs. 8.3.6 Keeps abreast of current nutrition and dietetics knowledge and trends. 12.4.6 Applies and integrates the nutrition care process to meet the complex needs of the target population. Mary Width, MS, RD is the Director of the Coordinated Program in Dietetics, Department of Nutrition and Food Science and the Course Director, Clinical Nutrition, School of Medicine at Wayne State University in Detroit, Michigan. 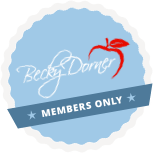 Tonia Reinhard, MS, RD, FAND is the Senior Lecturer, Coordinated Program in Dietetics, Department of Nutrition and Food Science and Course Director Clinical Nutrition, School of Medicine at Wayne State University in Detroit, Michigan.